If you just do a Google search and type in ‘smoking’ or ‘lung cancer’, you will be barraged with never ending facts and numbers, like how one in every three Americans is affected by lung disease and how COPD is the third leading cause of death and if you get lung cancer the odds are 95% that you will die. Matthew Gray Gubler ( (born March 9, 1980) is an American actor, director, fashion model, painter, and filmmaker. Best know for being in Criminal Minds. 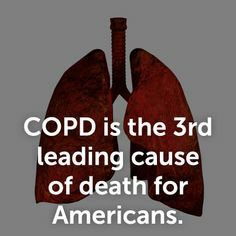 Chronic Obstructive Pulmonary Disease (COPD) is largely preventable. Yet it affects over 15 million Americans and is the fourth leading cause of death in the U.S. Although many diseases have seen a gradual decline in their associated mortality, COPD rates have increased. The term COPD is a broad one used to describe a set of symptoms, referring to persistent, slowly progressive obstruction of airflow and dyspnea, that is predominantly irreversible. It may be caused by chronic bronchitis, emphysema, or bronchiectasis. People with COPD experience deterioration in functional s­tatus; therefore, improving function is a major goal of treatment. Nurses are often facilitators and coordinators of pulmonary rehabilitation. Evaluation of the effects of treatment is an essential aspect of providing quality care. Although some effects of COPD are permanent, you can do plenty to assist your patient in managing it, by educating him on how to gain back control of his health. This will help to decrease the depression, hopelessness, and pessimism that are commonly seen in patients with COPD. Your specific nursing measures can help ease your patient’s breathing and prevent further deterioration, thus protecting the remaining lung function and offering a better quality of life. Chronic obstructive pulmonary disease (COPD) is a term that applies to patients with chronic bronchitis, bronchiectasis, emphysema and, to a certain extent, asthma. A brief review of normal functional anatomy will provide a background for the discussion of pathology. Bronchi run in septal connective tissue, but bronchioles are suspended in lung parenchyma by alveolar elastic tissue. The elastic tissue extends throughout alveolar walls, air passages, and vessels, connecting them in a delicate web. Bronchiolar epithelium is ciliated, single-layered and columnar or cuboidal. Beyond the bronchioles the epithelium is flat and lined with a film of phospholipid (surfactant), which lowers surface tension and thereby helps to keep these air spaces from collapsing. Remember that the phospholipid develops during later gestation in utero. This is the reason why premature infant’s lungs cannot stay inflated without the addition of surfactant therapy. Macrophages are found in alveolar lining. Smooth muscles surround the walls of all bronchi, bronchioles, and alveolar ducts and when stimulated they shorten and narrow the passages. Cartilage lends rigidity and lies in regular horse-shaped rings in the tracheal wall. Cartilage is absent in bronchi less than 1 mm in diameter. The terminal bronchiole is lined with columnar epithelium and is the last purely conducting airway. An acinus includes a terminal bronchiole and its distal structures. Five to ten acini together constitute a secondary lobule, which is generally 1 to 2 cm in diameter and is partly surrounded by grossly visible fibrous septa. Passages distal to the terminal bronchiole include an average of three but as many as nine generations of respiratory bronchioles lined with both columnar and alveolar epithelium. Each of the last respiratory bronchioles gives rise to about six alveolar ducts, each of these to one or two alveolar sacs, and finally each of the sacs to perhaps seventy-five alveoli. Alveolar pores (pores of Kohn) may connect alveoli in adjacent lobules. Two different circulations supply the lungs. The pulmonary arteries and veins are involved in gas exchange. The pulmonary arteries branch with the bronchi, dividing into capillaries at the level of the respiratory bronchiole, and supplying these as well as the alveolar ducts and alveoli. In the periphery of the lung, the pulmonary veins lie in the interlobular septa rather than accompanying the arteries and airways. The bronchial arteries are small and arise mostly from the aorta. They accompany the bronchi to supply their walls. In some cases of COPD, like bronchiectasis, extensive anastomoses develop between the pulmonary and bronchial circulations. This can allow major shunting and recirculation of blood, therefore contributing to cardiac overload and failure. Lymphatics run chiefly in bronchial walls and as a fine network in the pleural membrane. The lumina of the capillaries in the alveolar walls are separated from the alveolar lining surfaces by the alveolar-capillary membrane, consisting of thin endothelial and epithelial cells and a minute but expansile interstitial space. This interface between air and blood, only 2 microns in thickness, is the only place where gases may be exchanged effectively. Chronic bronchitis is a clinical disorder characterized by excessive mucus secretion in the bronchi. It was traditionally defined by chronic or recurrent productive cough lasting for a minimum of three months per year and for at least two consecutive years, in which all other causes for the cough have been eliminated. Today’s definition remains more simplistic to include a productive cough progressing over a period of time and lasting longer and longer. Sometimes, chronic bronchitis is broken down into three types: simple, mucopurulent or obstructive. The pathologic changes consist of inflammation, primarily mononuclear, infiltrate in the bronchial wall, hypertrophy and hyperplasia of the mucus-secreting bronchial glands and mucosal goblet cells, metaplasia of bronchial and bronchiolar epithelium, and loss of cilia. Eventually, there may be distortion and scarring of the bronchial wall. Asthma is a disease characterized by increased responsiveness of the trachea and bronchi to various stimuli (intrinsic or extrinsic), causing difficulty in breathing due to narrowing airways. The narrowing is dynamic and changes in degree. It occurs either spontaneously or because of therapy. The basic defect appears to be an altered state of the host, which periodically produces a hyperirritable contraction of smooth muscle and hypersecretion of bronchial mucus. This mucus is abnormally sticky and therefore obstructive. In some instances, the illness seems related to an altered immunologic state. Histological changes of asthma include an increase in the size and number of the mucosal goblet cells and submucosal mucus glands. There is marked thickening of the bronchial basement membrane and hypertrophy of bronchial and bronchiolar smooth muscle tissue. A submucosal infiltration of mononuclear inflammatory cells, eosinophils and plugs of mucus blocks small airways. Patients who have had asthma for many years may develop cor pulmonale and emphysema. Pulmonary emphysema is described in clinical, radiological and physiologic terms, but the condition is best defined morphologically. It is an enlargement of the air spaces distal to the terminal non-respiratory bronchiole, with destruction of alveolar walls. Although the normal lung has about 35,000 terminal bronchioles and their total internal cross-sectional area is at least 40 times as great as that of the lobar bronchi, the bronchioles are more delicate and vulnerable. Bronchioles may be obstructed partially or completely, temporarily or permanently, by thickening of their walls, by collapse due to loss of elasticity of the surrounding parenchyma, or by influx of exudate. In advanced emphysema, the lungs are large, pale, and relatively bloodless. They do not readily collapse. They many contain many superficial blebs or bullae, which occasionally are huge. The right ventricle of the heart is often enlarged (cor pulmonale), reflecting pulmonary arterial hypertension. Right ventricular enlargement is found in about 40% of autopsies of patients with severe emphysema. The distal air spaces are distended and disrupted, thus excessively confluent and reduced in number. There may be marked decrease in the number and size of the smaller vascular channels. The decrease in alveolar-capillary membrane surface area may be critical. Death may result from infection that obliterates the small bronchi and bronchioles. There is often organized pneumonia or scarring of the lung parenchyma due to previous infections. Classification of emphysema relies on descriptive morphology, requiring the study of inflated lungs. The two principal types are centrilobular and panlobular emphysema. The two types may coexist in the same lung or lobe. Centrilobular emphysema (CLE) or centriacinar emphysema affects respiratory bronchioles selectively. Fenestrations develop in the walls, enlarge, become confluent, and tend to form a single space as the walls disintegrate. There is often bronchiolitis with narrowing of lumina. The more distal parenchyma (alveolar ducts and sacs and alveoli) is initially preserved, then similarly destroyed as fenestrations develop and progress. The disease commonly affects the upper portions of the lung more severely, but it tends to be unevenly distributed. The walls of the emphysematous spaces may be deeply pigmented. This discoloration may represent failure of clearance mechanisms to remove dust particles, or perhaps the pigment plays an active role in lung destruction. CLE is much more prevalent in males than in females. It is usually associated with chronic bronchitis and is seldom found in nonsmokers. Panlobular emphysema (PLE) or panacinar emphysema is a nearly uniform enlargement and destruction of the alveoli in the pulmonary acinus. As the disease progresses, there is gradual loss of all components of the acinus until only a few strands of tissue, which are usually blood vessels, remain. PLE is usually diffuse, but is more severe in the lower lung areas. It is often found to some degree in older people, who do not have chronic bronchitis or clinical impairment of lung function. The term senile emphysema was formerly applied to this condition. PLE occurs as commonly in women and men, but is less frequent than CLE. It is a characteristic finding in those with homozygous deficiency of serum alpha-1 antitrypsin. It has also been found that certain populations of IV Ritalin abusers show PLE. Bullae are common in both CLE and PLE, but may exist in the absence of either. Air-filled spaces in the visceral pleura are commonly termed blebs, and those in the parenchyma greater than 1 cm in diameter are called bullae. A valve mechanism in the bronchial communication of a bulla permits air trapping and enlargement of the air space. This scenario may compress the surrounding normal lung. Blebs may rupture into the pleural cavity causing a pneumothorax, and through a valve mechanism in the bronchopleural fistula a tension pneumothorax may develop. Paracicatricial emphysema occurring adjacent to pulmonary scars represents another type of localized emphysema. When the air spaces distal to terminal bronchioles are increased beyond the normal size but do not show destructive changes of the alveolar walls, the condition is called pulmonary overinflation. This condition may be obstructive, because of air trapping beyond an incomplete bronchial obstruction due to a foreign body or a neoplasm. Many lung lobules may be simultaneously affected as a result of many check-valve obstructions, as in bronchial asthma. Pulmonary overinflation may also be nonobstructive, less properly called “compensatory emphysema”, when associated with atelectasis or resection of other areas of the lung. Bronchiectasis means irreversible dilation and distortion of the bronchi and bronchioles. Saccular bronchiectasis is the classic advanced form characterized by irregular dilatations and narrowing. The term cystic is used when the dilatations are especially large and numerous. Cystic bronchiectasis can be further classified as fusiform or varicose. Tubular bronchiectasis is simply the absence of normal bronchial tapering and is usually a manifestation of severe chronic bronchitis rather than of true bronchial wall destruction. Repeated or prolonged episodes of pneumonitis, inhaled foreign objects or neoplasms have been known to cause bronchiectasis. When the bronchiectatic process involves most or all of the bronchial tree, whether in one or both lungs, it is believed to be genetic or developmental in origin. Mucoviscidosis, Kartagener’s syndrome (bronchiectasis with dextrocardia and paranasal sinusitis), and agammaglobulinemia are all examples of inherited or developmental diseases associated with bronchiectasis. The term pseudobronchiectasis is applied to cylindrical bronchial widening, which may complicate a pneumonitis but which disappears after a few months. Bronchiectasis is true saccular bronchiectasis but without cough or expectoration. It is located especially in the upper lobes where good dependent drainage is available. A proximal form of bronchiectasis (with normal distal airways) complicates aspergillus mucus plugging. Advanced bronchiectasis is often accompanied by anastomoses between the bronchial and pulmonary vessels. These cause right-to-left shunts, with resulting hypoxemia, pulmonary hypertension and cor pulmonale. Heart failure caused by an excessive workload is curable by treating the primary disease, such as anemia or thyrotoxicosis or hypertension or diabetes. Also, curable are forms caused by anatomical problems such as a heart valve defect. These defects can be surgically corrected. However, for the common forms of heart failure due to damaged heart muscle no known cure (like a heart attack that damages the heart muscle where the attack took place on the organ) but prevention of it happening again can take place in many cases through treatment of the disease or illness with being compliant in following up with your doctor for the disease or illness and being compliant in following doctor’s orders. The worst thing you can do is ignore it. The treatment seeks to improve patients quality of life and length of survival through lifestyle change and drug therapy. 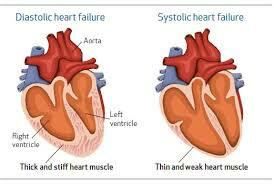 Patients can minimize the effect t of heart failure by controlling the risk factors for heart disease they may have. Obvious steps include: Don’t smoke or quit smoking, lose weight if necessary, abstaining from alcohol, and making those dietary changes to reduce the amount of salt and fat consumed Regular, modest exercise is also helpful for many patinets, though the amount and intensity should be carefully monitored by a physician. Even with lifestyle changes, most heart failure patients must take medication. Many patients receive 2 or more meds. Types of medication given: ACE inhibitors, Digitalis, Diuretics, Hydralazine, and Nitrates. These are some of the meds given for heart failure. Not all medications are suitable for patients, and more than one drug may be needed. Always review the list your pharmacist provides in the action, side effects, with instructions of how to take the drug to make it most effective in your body with what to look for while on this medication to keep you the patient most informed on what you should know. Results of studies over the years have placed more emphasis on the use of drugs known as angiotensin converting enzymes (ACE) inhibitors. Several studies have indicated that ACE inhibitors improve survival among heart failure patients and may slow perhaps even prevent the loss of the heart pumping activity. This drug prevents the transfer of your enzyme Angiotensin 1 to convert to Angiotensin 2 which prevents the vessels in your body to do vasoconstriction which prevents the pressure in the bloodstream to raise = high B/P (hypertension). This prevents stress to the heart, due to high B/this causes blood to get to the heart slowly and more difficult causing the heart to pump harder but the ACE inhibitor with allowing vasodilation (opening of vessels) keeping pressure down to make the job easier= less stress on the heart. Originally these medications where for patients in the treatment of hypertension but they help patients with heart failure, among other things, decreasing the pressure inside the blood vessels causing the heart to do its job easier. Digitalis increases the force of the heart’s contractions, helping to improve circulation in the body. Diuretics are for reducing the amount of fluid in the bloodstream and body by releasing them via the kidneys and having us void the excess out in our urine, these are useful for patients with fluid retention. Those who aren’t prescribed or cannot take these meds already mentioned may be given a hydralazine medication and/or a drug in the Nitrate classification, each of which help relax tension in the blood vessels to improve blood flow. Also, both Hydralazine and Nitrates function is they cause vasodilation in the vessels improving blood flow to the heart. Sometimes heart failure is life threatening. Usually, this happens when drug therapy and lifestyle changes fail to control its symptoms. In such cases, a heart transplant may be the only treatment option. However, candidates for transplantation often have to wait months or even years before a suitable donor heart is found. Studies over the years indicate that some transplant candidates improve during this waiting period through drug treatment and other therapy, and can be removed from the transplant list. Transplant candidates who do not improve sometimes need mechanical pumps, which are attached to the heart. Called left ventricular assist device (LVADs), the machine takes over part or virtually all of the heart’s blood-pumping activity. However, current LVADs are not permanent solutions for heart failure but are considered bridges to transplantation. Worldwide, about 3,500 heart transplants were performed annually. The vast majority of these are performed in the United States (2,000-2,300 annually). Cedars Sinai Medical Center in Los Angeles, California has performed the most heart transplants in the last three consecutive years performing 95 transplants in 2012 alone. About 800,000 people have a Class IV heart defect indicating a new organ. The degrees of CHF are I, II, III and IV. In learning more about CHF with heart transplants (including becoming a candidate for one) go to wwwtransplantexperience.com or even hearttransplant.com. 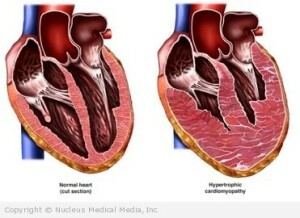 Another surgical procedure for heart failure that is available in America is cardiomyoplasty. This is a surgical procedure in which healthy muscle from another part of the body is wrapped around the heart to provide support for the failing heart. Most often the latissimus dorsi muscle is used for this purpose. A special pacemaker is implanted to make the skeletal muscle contract. The electrical stimulator icauses the back muscle to contract, pumping the blood from the heart (this allows the heart to do its job more effectively). Heart valve problems. The valves of your heart, which keep blood flowing in the proper direction through your heart, may not function properly if your heart is enlarged, or if the pressure in your heart is very high due to heart failure. Stroke. Because blood flow through the heart is slower in heart failure than in a normal heart, it’s more likely you’ll develop blood clots, which can increase your risk of having a stroke.Tips on CHF:Closely follow your doctor’s instructions, being compliant with the instructions and taking your meds.Control your weight in making it easier for your heart, that’s in failure, to function better (less stress).Limit or stop alcohol consumption as your doctor informs you. The best defense against heart failure is PREVENTION! Almost all the cardiac risk factors can be controlled of eliminated (smoking, obese, high cholesterol, high B/P, diabetes). Going to the doctor can be stressful but know he is there for you. It is hard to remember everything you want to ask the doctor with everything you hear at your visit. It helps to prepare a list of questions you may have and bring it with you at your appointment to address to the doctor your concerns. In doing this it helps you with your appointment so you can record the answers by listing them on the paper you have. Before you leave the doctor’s office, be sure you understand your condition and its treatment, including any medications your taking this doctor ordered for you with him or her knowing any other medications you may be on through a different doctor to prevent side effects or adverse reactions but if you forget this about the medications there is always your pharmacist you can ask than your M.D. later. With you knowing this information you will see why it is so vital for you doing all these actions or inter- ventions for your disease that the doctor ordered and you’re more out to follow them as well. Of course, stop smoking permanently if actively smoking. Watch what you eat and how much. Watch the diet intake of cholesterol and sodium that can cause a negative impact on the heart by causing stress to the organ through either high B/P=high sodium that causes vasoconstriction or high cholesterol frequently=blockage in an artery and both cause diminishing of oxygenated blood getting to the heart. Without oxygen to our tissues or cells this causes tissue & cellular starvation. What is starvation to the heart=chest pain (what we call angina). Take a brittle diabetic, the furthest area from the heart is the feet the first area to experience starvation is the toes, foot or lower extremity which is why this is usually the first to be amputated if necessary (you usually see an upper extremity amputated due to trauma). Immediately call your doctor of any significant change in your condition, such as an intensified shortness of breath or swollen feet or weight gain of 3lbs or more within one week. 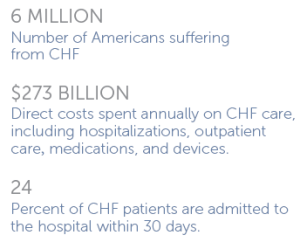 See your doctor regularly in evaluating your CHF. If you are needing any guidance in how to lose weight through using all 4 food groups, with assistance in what to eat now to lose weight till in therapeutic range for your height than eating food from the market or needing to understand how the body works with food and metabolism with where activity comes into play go to healthyusa.tsfl.com and see what we can provide you in answering all these questions for you through Dr. Anderson and myself as your coach free. SO LIVE AS HEALTHY AS POSSIBLE IN YOUR ROUTINE HABITS, YOUR DIETING OF THE 4 FOOD GROUPS, MAINTAINING YOUR WEIGHT IN A THEREPEUTIC RANGE (look as calculating BMI online for free to find out what your weight range for your height is), and BALANCING REST WITH EXERCISE TO HELP DECREASE THE CHANCE OF GETTING HEART FAILURE. Go to healthyusa.tsfl.com to learn what Dr. Anderson through his book of “Dr. A.’s Healthy Habits” and me (for free) as your health coach could provide you with. Just take a view of what can be offered to you for no price with no hacking go to healthyusa.tsfl.com and take a peek;) Join me like many who are trying to live life healthier with making America a healthier home and we all should take part to help the health care system to be more effective for our society. Recommended to anyone with disease before changing your diet, activity/exercise program review with your doctor to get clearance to maintain your safety. What we have most to fear is failure of the heart. 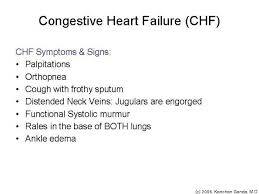 Part 2 The signs and symptoms with diagnosing CHF. if you have any other health conditions such as diabetes, kidney disease, angina, high blood pressure, or other heart problems. what medications you are takingYour doctor will also perform a complete physical exam. Your doctor will look for signs of heart failure as well as any other illnesses that may have caused your heart to weaken. Blood tests. Your doctor may take a sample of your blood to check your kidney, liver and thyroid function and to look for indicators of other diseases that affect the heart. A blood test to check for a chemical called N-terminal pro-B-type natriuretic peptide (NT-proBNP) may help in diagnosing heart failure if the diagnosis isn’t certain when used in addition to other tests. Chest X-ray. X-ray images help your doctor see the condition of your lungs and heart. In heart failure, your heart may appear enlarged and fluid buildup may be visible in your lungs. Your doctor can also use an X-ray to diagnose conditions other than heart failure that may explain your signs and symptoms. Electrocardiogram (ECG). This test records the electrical activity of your heart through electrodes attached to your skin. Impulses are recorded as waves and displayed on a monitor or printed on paper. This test helps your doctor diagnose heart rhythm problems and damage to your heart from a heart attack that may be underlying heart failure. Echocardiogram. An important test for diagnosing heart failure is the echocardiogram. An echocardiogram helps distinguish systolic heart failure from diastolic heart failure in which the heart is stiff and can’t fill properly.The echocardiogram also can help doctors look for valve problems or evidence of previous heart attacks, other heart abnormalities, and some unusual causes of heart failure. Your ejection fraction is measured during an echocardiogram and can also be measured by nuclear medicine tests, cardiac catheterization and cardiac MRI. This is an important measurement of how well your heart is pumping and is used to help classify heart failure and guide treatment. An echocardiogram uses sound waves to produce a video image of your heart. This test can help doctors see the size and shape of your heart and how well your heart is pumping. Stress test. Stress tests measure how your heart and blood vessels respond to exertion. You may walk on a treadmill or pedal a stationary bike while attached to an ECG machine. Or you may receive a drug intravenously that stimulates your heart similar to exercise. Sometimes the stress test can be done while wearing a mask that measures the ability of your heart and lungs to take in oxygen and breathe out carbon dioxide.If your doctor also wants to see images of your heart while you’re exercising, he or she may order a nuclear stress test or a stress echocardiogram. It’s similar to an exercise stress test, but it also uses imaging techniques to visualize your heart during the test. Stress tests help doctors see if you have coronary artery disease. Stress tests also determine how well your body is responding to your heart’s decreased pumping effectiveness and can help guide long-term treatment decisions. Cardiac computerized tomography (CT) scan or magnetic resonance imaging (MRI). These tests can be used to diagnose heart problems, including causes of heart failure.In a cardiac MRI, you lie on a table inside a long tube-like machine that produces a magnetic field. The magnetic field aligns atomic particles in some of your cells. When radio waves are broadcast toward these aligned particles, they produce signals that vary according to the type of tissue they are. The signals create images of your heart. In a cardiac CT scan, you lie on a table inside a doughnut-shaped machine. An X-ray tube inside the machine rotates around your body and collects images of your heart and chest. Coronary angiogram. In this test, a thin, flexible tube (catheter) is inserted into a blood vessel at your groin or in your arm and guided through the aorta into your coronary arteries. A dye injected through the catheter makes the arteries supplying your heart visible on an X-ray. This test helps doctors identify narrowed arteries to your heart (coronary artery disease) that can be a cause of heart failure. The test may include a ventriculogram — a procedure to determine the strength of the heart’s main pumping chamber (left ventricle) and the health of the heart valves. 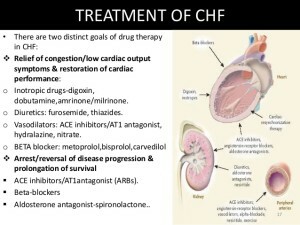 Tune in tomorrow for part 3 of CHF treatment, complications & tips. SO LIVE AS HEALTHY AS POSSIBLE IN YOUR ROUTINE HABITS, YOUR DIETING OF THE 4 FOOD GROUPS, MAINTAINING YOUR WEIGHT IN A THEREPEUTIC RANGE (look as calculating BMI online for free to find out what your weight range for your height is), and BALANCING REST WITH EXERCISE TO HELP DECREASE THE CHANCE OF GETTING HEART FAILURE. 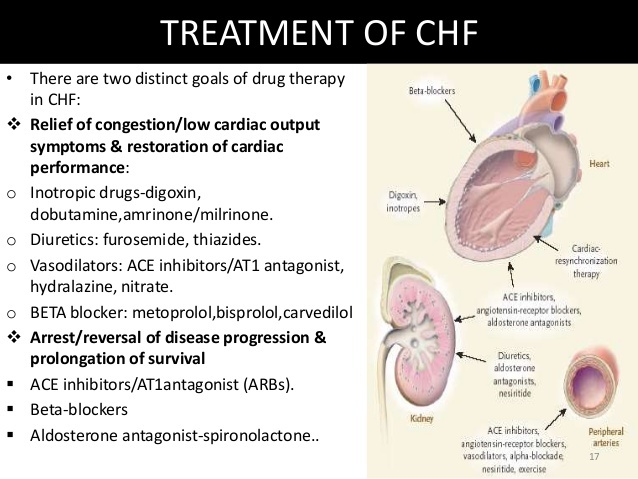 CHF part 2 tomorrow and learn what the signs and symptoms with how its diagnosed, how its treated with tips on the disease (most importantly prevention). Why is HEALTH important to America & what to do. Let’s just start with looking at our health problems recently & the statistics. According to the “Mayo Clinic” in 2011 the top male and female problems vary a little. 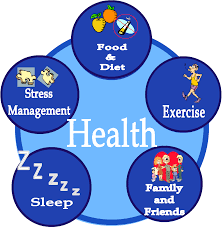 The health problems that are similar to them are the ones we need to be more concerned about since the ones I will be presenting to you are brought on to many Americans cause of poor health habits (which includes diet with activity). They state that cardiac disease is #1 killer for both men and women. The American Heart Association in 2011 state cardiac disease, which does cause many heart attacks and strokes, with killing more people than all forms of cancer combined. Two major factors that would decrease the amount in cardiac disease if people stop smoking and eat HEALTHIER=low fat, low sodium and occasional fast foods, if ever in their diet. Fast foods frequently eaten just doesn’t cut healthy. Another helpful key is routine exercise. *2011 Lung cancer was the cancer that caused most deaths in both men and women. Women are also greatly affected with breast cancer and colorectal cancer, according to the Mayo clinic 2011. 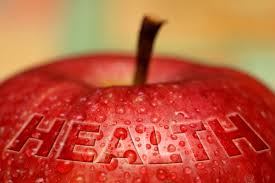 To help in decreasing the chance of cancer eat HEALTHY, wear sunscreen, don’t smoke, and get regular cancer screenings. 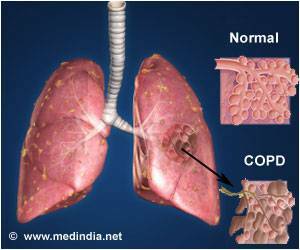 *COPD=Respiratory Diseases classified as Chronic Obstructive Pulmonary Disease which includes Emphysema or Bronchitis. The National Heart, Lung, & Blood Institute in 2011 recommended quit smoking to prevent COPD (esp. Emphysema which is the largest RISK factor in getting it). When you smoke you expand the lung tissue and keep expanding it as you continue smoking. It doesn’t reverse and after years you have difficulty exchanging oxygen (when inhaled) with carbon dioxide (when exhale-ed) at the lung base & this is because of stretching the lung tissue so bad. The answer is either QUIT or NEVER smoke and band smoking. The U.S. lung cancer census would go down markedly in a 5-10 years *Diabetes 2 is a diabetes that you are not born with but can get later in life. It is also a leading killer for both men and women in the U.S. A lot of cases seem to be due to unhealthy eating that goes into obesity that causes the individual to end up with diabetes. This disease causes damage to many organs of the body in time. Due to the high glucose levels (hyperglycemia) it damages the kidney causing for many to be put on hemodialysis 3x/wk usually, giving heart disease, neuropathy (down the legs usually), and retinopathy=blindness, in time. To prevent this disease losing weight (with staying in a normal body mass index), doing routine exercise, and eating healthy will help a great deal, especially started young. *In 2011 Alzheimer’s disease was the fifth leading cause of death in women and the tenth in men. We really don’t know what the etiology is but there may be a link between this disease and heart disease, including head injuries. What could help this prevent this? One eating healthy, two routine exercise-as simple as walking regularly daily or 2 to 3 times a week and eating healthy to prevent cardiac disease. Also, drive safely with the seat belt on, no texting, no cell phone to prevent a MVA & hitting your head. *Kidney disease in 2011 the ninth leading cause of death for both males and females in the U.S. It can be caused by high blood pressure or diabetes, according to the Mayo Clinic. The American Diabetes Association stressed the importance of keeping your blood sugar under control if you are a diabetic in order to prevent kidney disease if done soon enough. To prevent this disease it is the same as cardiac and diabetes prevention (listed above) but the sooner started the better. After seeing the disease census 2011 in our country; now the next question would be is there anyway we can decrease diseases in our country overtime, like in a decade or less. Well, all the diseases I covered yesterday are impacted on what healthy habits you practice over a long period of time in your life; than these diseases can be controlled better. Wouldn’t you want to see less disease and more people young and old healthier. I know I sure would after being a RN over a quarter of a century seeing so many diseases and ones that could have been prevented by a society more health oriented than based on their food cravings. We have all heard we need to make sacrifices for certain things in life. Would you think sacrificing fast foods being eaten daily or low glycemic meals in large sizes for all your meals over numerous years that prones you to putting weight on putting you at risk for disease is worth sacrificing? I finally do in my 40’s and it’s not that hard of a sacrifice. You may just like what you see so give it a try. For guidance I found Dr. Wayne Scott Anderson’s book “Dr. A.’s Habits of Health” on a regular basis very helpful. If the majority of America lived healthier like this there would be less disease in our country which would put a positive impact on our health care system for all but it would take a decade but we need to start somewhere and today is the best day to start for both us as well as future generations to come. Eating healthier, losing weight down to the ideal body mass index ratio based on your height, exercise routinely (not necessarily meaning an aerobic work out), and practicing healthy habits would increase your chance of living longer healthy and put your life on a journey .